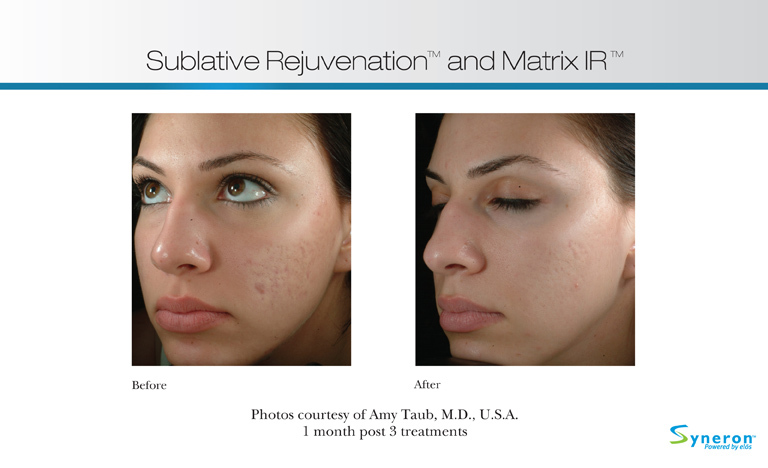 eMatrix sublative rejuvenation is a minimally uncomfortable procedure with little downtime that improves skin tone, texture, color and scarring. Radio frequency energy is precisely directed into the skin in matrix form. It helps healthy skin around the dots to accelerate the healing process. 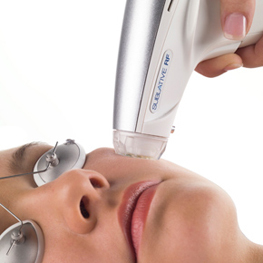 New collagen and healthy skin cells are generated by the process. Post treatment your skin is pink like sunburn. 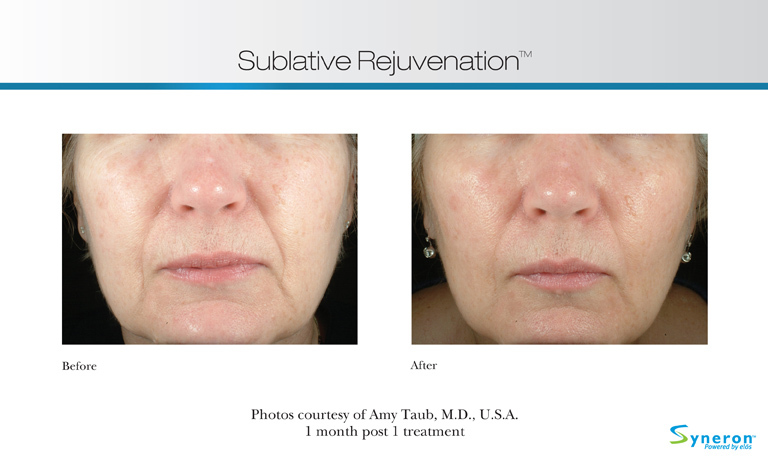 Sublative rejuvenation uses advanced cosmetic technology to penetrate the skin’s surface. 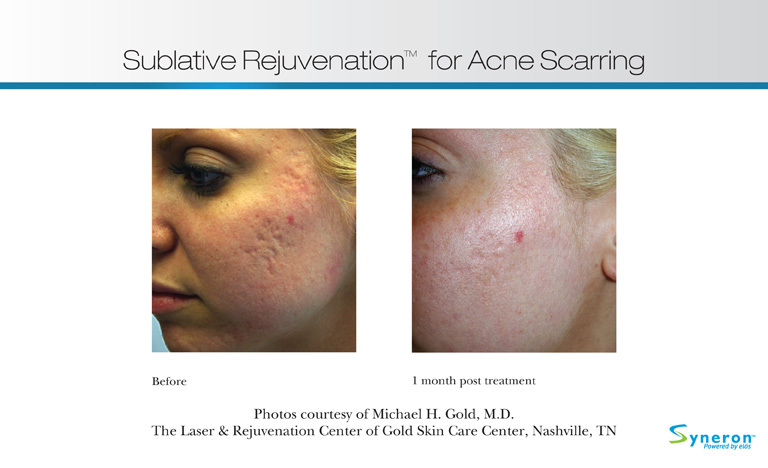 Unlike traditional light or laser skin resurfacing methods, the sublative treatment delivers fragmented bi-polar energy waves deep into the dermis, maximizing collagen production while leaving the surface of the skin undamaged. 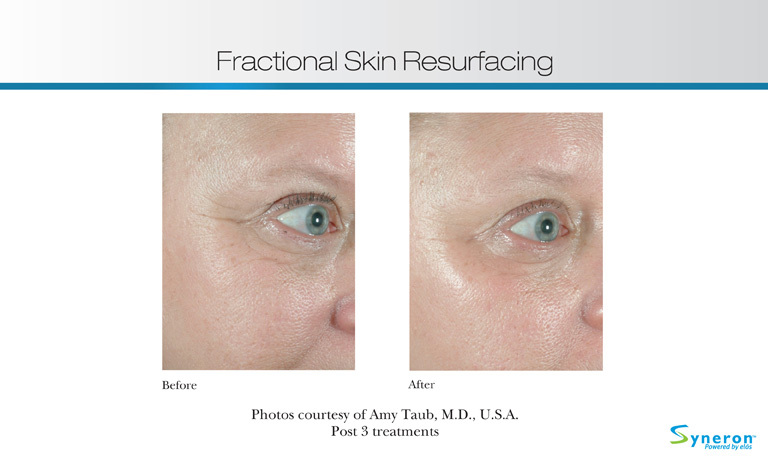 This focused dermal heating activates the collagen regeneration process, resulting in noticeably firmer, smoother skin with improved skin tone.